Ten Alaska FBI agents are heading to Kotzebue as a search continues for a 10-year-old girl, officials said. Ashley Johnson-Barr has been missing since Thursday. She was last seen at the Rainbow Park playground in the Northwest Alaska town around 5:30 p.m. Her family reported her missing when she didn't come home. 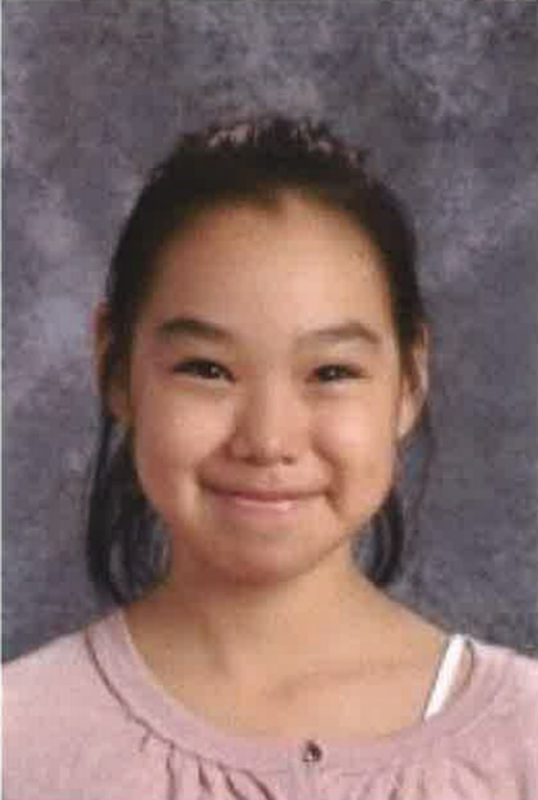 The girl's cellphone was found "in the street" about half a mile from the park, according to a statement from Kotzebue Police Chief Thomas Milliette. Volunteers, Kotzebue police and local search-and-rescue groups spent Sunday looking for Johnson-Barr. On Monday, FBI agents headed to Kotzebue, said Staci Feger-Pellessier, FBI spokeswoman. Ten agents were scheduled to arrive by Tuesday, she said. 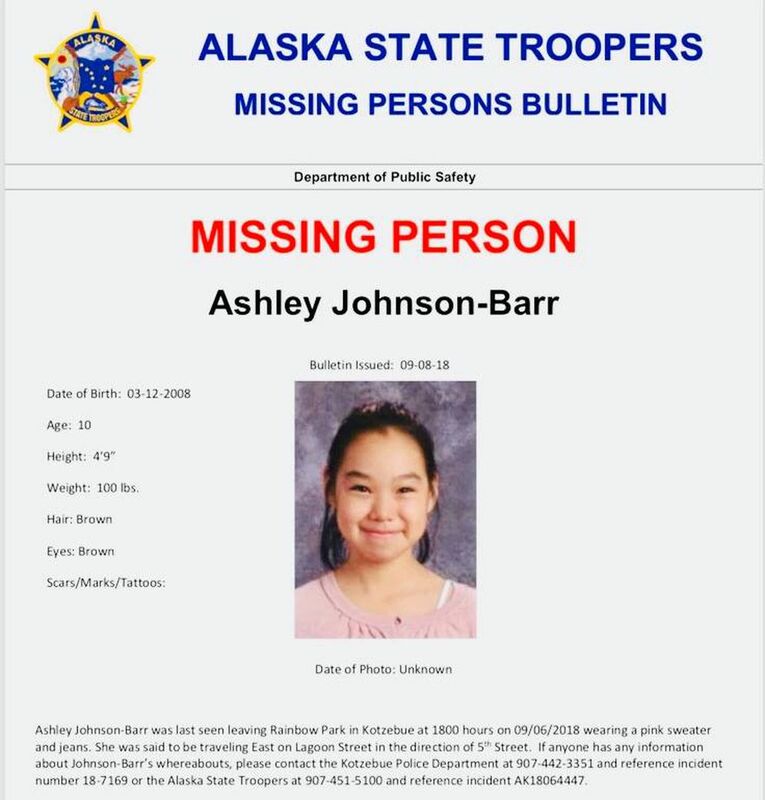 @FBIAnchorage is sending several Special Agents to Kotzebue to assist Alaska State Troopers in the case of missing 10 years old Ashley Johnson-Barr. Alaska State Troopers are now the lead on the investigation, having taken over at the request of the Kotzebue Police Department, said troopers spokesman Jonathon Taylor. Troopers asked the FBI to assist in the investigation, Taylor said. When asked whether officials have found evidence of foul play, Taylor said, "We are investigating the incident and exploring all possibilities." At least 50 volunteers were searching for Johnson-Barr on Monday, Taylor said. The Alaska Incident Management Team, a statewide emergency response group, has been assisting with the search since Saturday, Taylor said. A U.S. Coast Guard helicopter conducted a fly-by of coastal areas, and Alaska Wildlife Troopers aircraft have also been used in the search for the girl, Taylor said. Correction: An earlier version of this story misspelled Jonathon Taylor's first name.